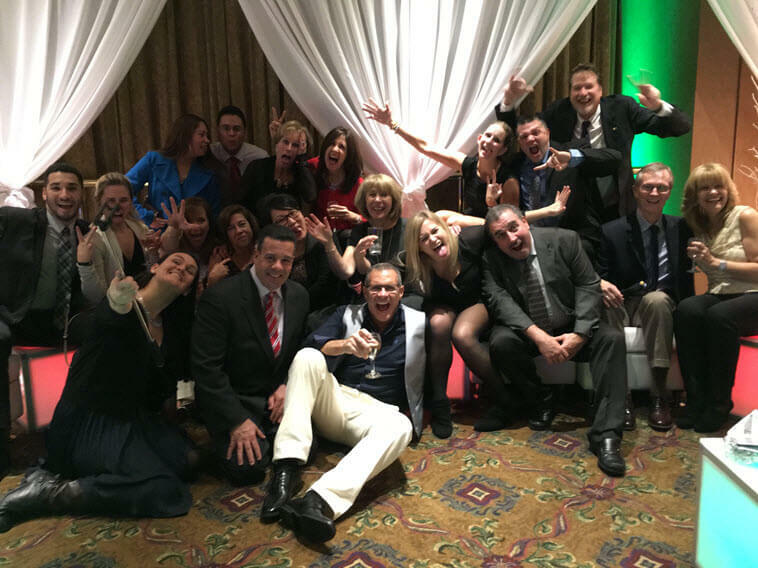 In keeping with tradition, Austin & Williams closed out 2015 with a holiday party at the Crest Hollow Country Club. Dressed to the nines, everyone enjoyed fabulous food (taco bar!) and cocktails, photo booth fun, as well as an eclectic mix of contemporary and oldies dance music provided by DJ Hart to Hart. During the festivities, agency principals Rick and Eva presented milestone anniversary awards to Rossana for more than 15 years of service and to Sandra for 10 years of service. Peer-recognition prizes went to Henry, Frank, Mark, Jen and, last but not least, Jerry for making life here at the agency so much better. A big shout out to Nick for wowing us with his nonstop fancy footwork and to Kevin and his wife, Jennifer, for tearing up the dance floor during the evening finale. It was the perfect ending to a perfectly wonderful night and a great year!